Volunteers and DOC staff took part in the Fiordland Coastal Cleanup in early June. This year’s effort involved two boats, 32 volunteers and two helicopters. Tonnes of rubbish was removed from the 300 kilometre coastline. Items found included a variety of fishing nets, three soccer balls and a pistol. 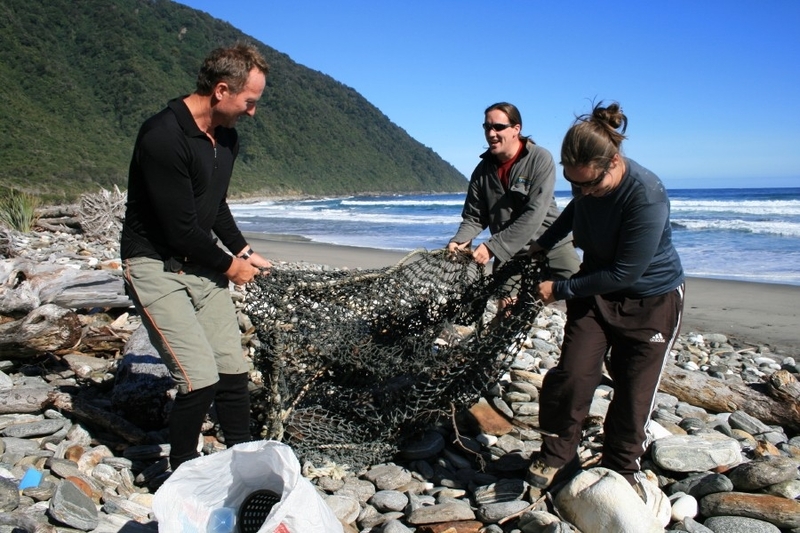 The Fiordland Coastal Cleanup project was started by DOC ranger Peter Young twelve years ago after he had been out crayfishing and saw piles of rubbish up and down the beach. Watch ONE News footage of this year’s Fiordland Coastal Cleanup. You can find other volunteering events in Fiordland and around New Zealand on the DOC website. It is such a shame the amount of rubbish on our beaches. From our experience of what we see, most of it comes from fishing boats.